T he first statewide tick surveillance was conducted in mid-May with the help of the county mosquito control agencies and others in order to determine distribution of the state’s tick populations. Full results from this surveillance effort will be reported on in the future, but an initial preview suggests that the lone star tick is more widepsread than originally thought. Read the Philadelphia Inquirer news report on the surveillance effort. 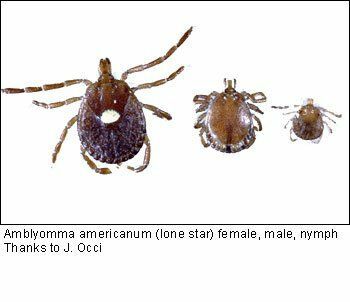 This entry was posted in Uncategorized and tagged Amblyomma, lone star, tick blitz, tick surveillance on June 7, 2018 by Lisa Reed.